Students learn hospitality skills in real life scenarios. They practice dining etiquette, compose thank you notes, and practice handshakes. Students receive personalized instruction throughout the class to ensure they learn the proper skills, then enjoy practicing their new skills with one another. Each child practices writing a thank-you note, receives a workbook to complete during class and take home to use as an ongoing manners’ resource. 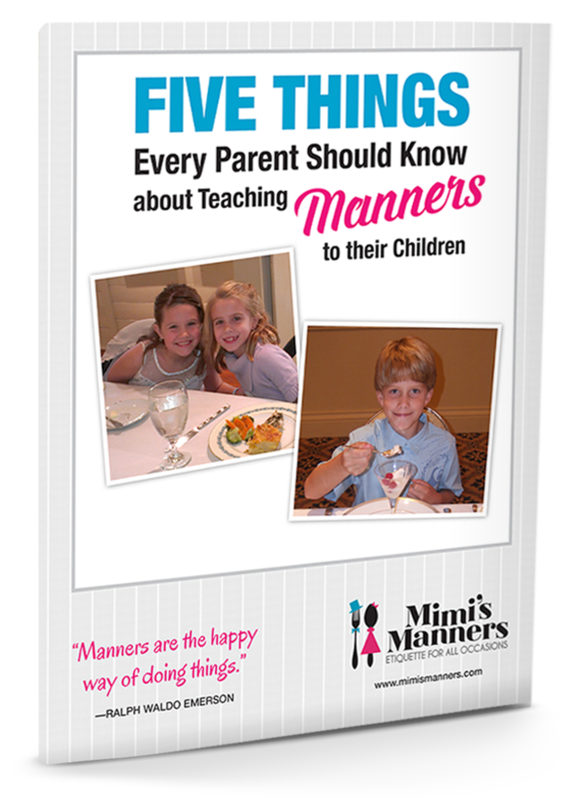 Mimi’s Manners is for children ages six through twelve. Classes for teens are also offered. The classes range in size up to 18 students and private lessons are available as well. Good manners have always been important. Today, they are more important than ever. Why? We live in a very competitive world. Brains are necessary, but not sufficient for success. By learning how to interact comfortably and confidently in a social environment, your children will reap lasting personal and professional rewards. Good manners will serve them well throughout their school years and as they enter the adult world of work. 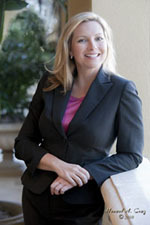 Chief Etiquette Officer Suzanne Willis created Mimi’s Manners to share the etiquette lessons she learned from her grandmother “Mimi” with young ladies and gentlemen. 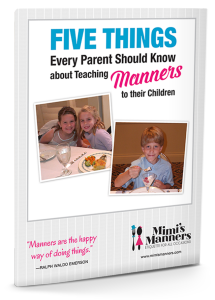 To learn more about Suzanne’s consulting services and her nationally recognized manners programs for kids, please take a moment to explore this website or contact us today.